We all struggle with getting a student to practice his violin. This may sound simplistic, but part of the problem is just the idea of practicing. Practice is looked at as work, but playing is looked at as fun. It may be helpful to just change the word you use to describe the activity. "Let's play some bow games," will get a better response from young students than telling them to practice. "Let's try playing along with that song you like." Is something that you can do . . . even if it's just rhythm matching. And it's a step into a brief practice session. Another Great Use of that Digital Camera! 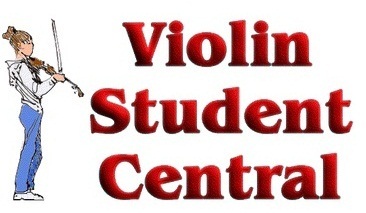 Take, Print and Even Share Pictures of your Violin Student Online! Taking silly pictures can be a motivator. Some pitures of your student laughing during bow games can be a big help in motivating them to play those games again! Mother's Day is Almost Here. 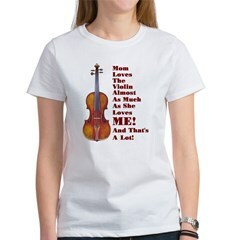 Click Here for Some Great Gift Ideas for Your Fiddler Mother or the Mother of a Fiddler! Stay More Relaxed, and Sound and Play Better!